In the summer of 1972, Jonathan Rosenbaum was a writer and film critic living in Paris who had begun researching an article on Orson Welles’s original Hollywood project, an adaptation of Joseph Conrad’s novella, Heart of Darkness. Learning that Welles was also in Paris during the off and on shotgun production production of “The Other Side of the Wind” and the editing of his essay film “F For Fake,” Rosenbaum sent him a letter with detailed queries about his screenplay. He dispatched the letter on a Saturday night. On Monday morning, Welles’s assistant called and asked Rosenbaum to join Welles later that day for lunch. Upon meeting Rosenbaum expressed surprise that Welles would ask him to lunch. “I don’t have time to answer your letter,” Welles responded. 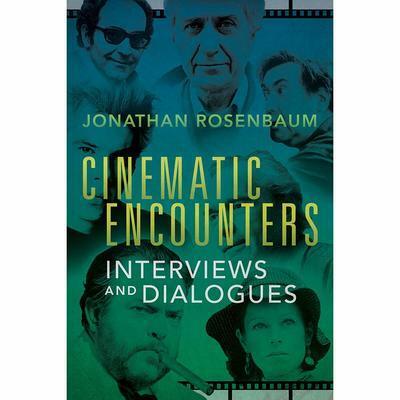 The Welles interview is also the taking off point for Rosenbaum’s new two-volume book collection, Cinematic Encounters. The first volume, subtitled “Interviews and Dialogues,” is newly out from the University of Illinois Press. In addition to Welles, the book culls interviews Rosenbaum conducted with such essential figures as Jean-Luc Godard, Jacques Rivette, Alain Resnais, Jacques Tati, Samuel Fuller, Raúl Ruiz and Béla Tarr. The interviews took place in various far flung locations, including Paris, London and New York. The second volume, “Portraits and Polemics,” set to come out this June, makes for a natural juxtaposition, overlapping with essays and critical evaluations of many of the same directors like Rivette, Resnais, Tarr and Jarmusch. Orson Welles, who has loomed so prominently over Rosenbaum’s life and work, is the natural structuring figure. As the first volume is arranged chronologically and the second part alphabetically, Welles opens and closes the two works. 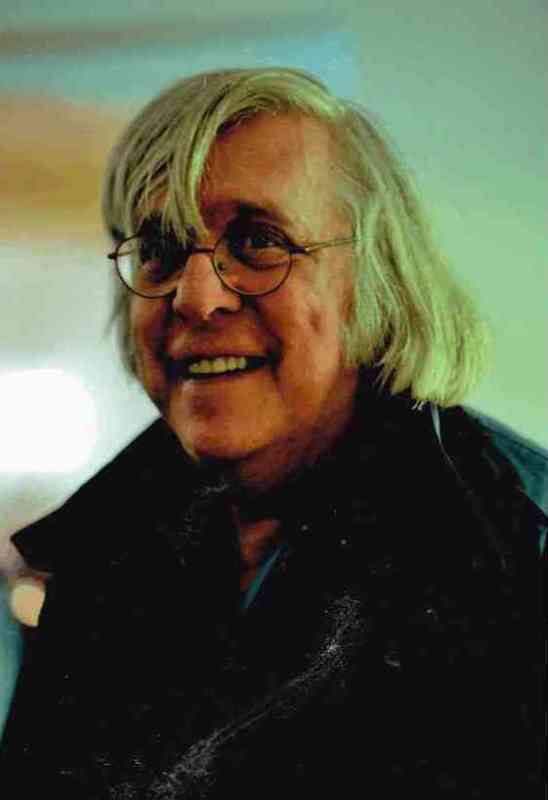 Though he retired in 2008 after 21 years as the chief critic of the Chicago Reader, Rosenbaum remains a prolific writer, lecturer, teacher and traveler. His work is archived at www.jonathanrosenbaum.net. A leading authority on Orson Welles, Rosenbaum is also about to start a 14-week lecture series on the director at the Gene Siskel Film Center, in conjunction with the School of the Art Institute of Chicago. His opening lecture, accompanying a 35mm screening of “Citizen Kane,” is scheduled for January 29. In a recent interview, Rosenbaum talked about the genesis of the two volume work and the constantly evolving nature of film criticism in the digital age. The first volume is dedicated to the French writer and teacher Nicole Brenez. She actually suggested the idea of the book? So are these the interviews that mean the most to you? How did you decide to arrange them for the book? It was basically the interviews that I had in print form. I noticed there was a lot of difference between them in terms of how they were formulated and structured. I thought in a certain way, it became a kind of investigation into the various forms that interviews can take. What I’m trying to explore in both volumes is how much film criticism is a social activity involving other people. Sometimes it involves polemics and sometimes it involves dialogues. It’s against the idea that the critic is someone who has or should have the first and last word. That’s why I bring up the Hitchcock and Truffaut book in asking to what extent it is or isn’t criticism. Even though it had a great critical impact, I think there’s a lot of cloudiness in people’s mind about this topic that I’m trying to address. How would you describe or define your interview style? It‘s often confrontational when it isn’t simply looking for information or clarification. I should add that when I was a kid, I was relatively asocial. But at the same time I went to movies a lot. Movies are an easy way of being very social because you are with all these other people, but you are also alone. Film criticism is still social now, but in a different way because of the Internet. There was a book party in Chicago recently, and I knew very few people there. The reason for that is I’m fairly reclusive in Chicago but I’m very social on the Internet and when I travel. It’s a kind of a paradox, the fact that close to a thousand people read me on my website every day and I interact with them. At the same time, I don’t go out very much or hang out with other people in Chicago. I do that more when I travel. Are you of the belief that interviews, when done properly, are a form of criticism by other means? Not exactly, but it’s a way of exploring and testing some of the ideas of criticism. One of the things I talk about in the introduction to the second volume is that I am very much influenced by the French idea that cinema is literature by other means. Also, music and theater. It basically includes an involvement with all the other arts. Do you have personal favorites of these interviews, or in the act of revisiting these pieces, what stands out about them? I’m especially happy about the rapport I developed with some filmmakers: Sam Fuller, Godard, Jim Jarmusch, Jackie Raynal, Raúl Ruiz, Jacques Tati, Béla Tarr, and Peter Thompson, among others. In the case of Paul Morrissey, there is really only one of his films that I like a lot, and I certainly don’t agree with his politics, but it was interesting to hear his rants. I wanted some diversity in the book. This also applies to John Carpenter [a production story about the making of “The Thing”], because I’d never been on a junket before, even though it was kind of a fake interview, a phone interview that I had to pretend was taking place in British Columbia. You first started writing critically in the late 1960s and early 1970s, the time of New Journalism. Were you influenced by those writers? You’ve talked about Susan Sontag, but what about Michael Herr, Norman Mailer, or Joan Didion? Mailer did influence me, especially “The Executioner’s Song,” which I was reading when I was working on Midnight Movies with Jim Hoberman. When I was writing about “The Rocky Horror Picture Show” and David Lynch, that kind of pretending to be subjective when you write about someone else but you’re really being objective about your research, that was influenced by Mailer. Herr didn’t influence me at all, but “Dispatches” certainly impressed me. I’ve always argued that I believe in subjectivity as a critic, but I believe you have to objectify your subjectivity. In other words, state where you’re coming from and not disguise your subjectivity as another form of objectivity. I’ve never been a fan of Tom Wolfe and I dislike his smarmy showboating. I like Joan Didion as a political thinker, but I’m not sure how I feel about her as an autobiographical writer. I wouldn’t say that she’s been an influence. I learned something about style from Pauline Kael’s writing, but I reject her taste and her preoccupation with power. Sontag has always impressed me in a cultural way and also as the last of the New York intellectuals, plus the only one who was always very sophisticated about film. She was also sort of a friend. The fact that many of these interviews occurred when you were an exile, or expatriate, in Paris or London, is that coincidental or meaningful? It’s mainly circumstantial. But it’s true that by living in Paris I had more easily access to people than I had in New York. Everybody I wanted to interview I was able to. I tried to interview Godard in Paris, but he was recovering from his motorcycle accident, so I met him briefly then but we couldn’t do an interview. We did two interviews later, once in New York and the other in Toronto, and both are in the book. 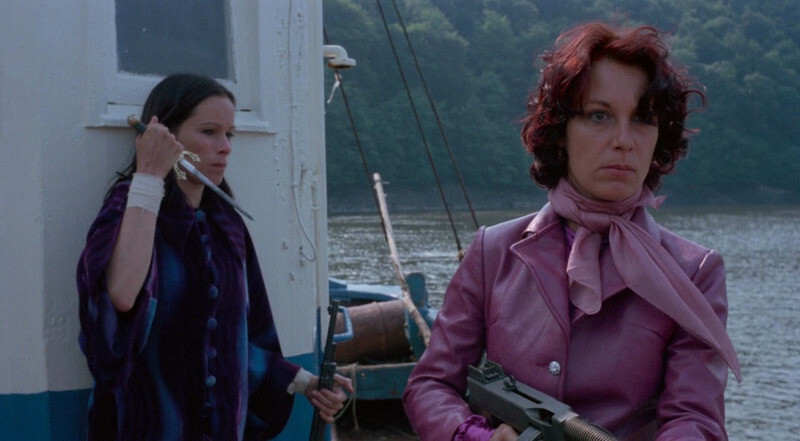 The Geraldine Chaplin interview is probably the most radical stylistically, with how you play with the form of the interview. Obviously in any interview you are challenging critical preconceptions with the experiences of filmmaking, which are sometimes quite different. But sometimes they can be close. I was very pleased to discover my grasp of what Tati was doing was very close to his grasp of what he was doing. That also happened to a lesser extent with Rivette. Given your time in Paris overlapped, I was curious if you ever interviewed Nicholas Ray? We were casual friends in both Paris and New York. I even wrote a piece called “Looking for Nicholas Ray” which includes some interview material, and I debated with myself about possibly including that in the book. It originally ran in American Film. After his death, I spent a lot of time with his widow, Susan. Are there any interviews you regret did not make it into the collection? There was one interview I could have included, but it’s more recent, one I had with Abel Ferrara. That was in Zagreb just a couple of years ago. But even though I’ve seen a fair number of his films, I’m not an expert like Nicole Brenez or Brad Stevens. I liked Abel personally, but I didn’t feel like what he had to say in our interview was particularly revealing or interesting. And I have no regrets at all about excluding a disastrous commissioned interview I did with Marco Ferrari in Paris. You have written about your life and background quite a bit. Your life is quite different than most critics. How did that shape that development of your voice as a critic? That’s hard to say, but it’s relevant that I wrote a lot of fiction when I was young, both novels and short stories. That obviously played a role, because I was thinking about form a lot, and I still think about that all the time, as well as voice. As for my frequent recourse to autobiography, that came from writing Moving Places: A Life at the Movies—my first book, and my own version of a nonfiction novel—and I later found it both natural and useful to use that in my criticism. You have been very outspoken, perhaps even iconoclastic about this idea that the quality of the readership is more than important than quantity. When I wrote [critically] about Ingmar Bergman in The New York Times, I got a lot of abuse from people, and that’s largely because it was in The New York Times. If I had written the same article for the Chicago Reader, it would not have happened the same way. I actually think when you write for a niche market, what one writes can actually have an effect sometimes. It depends. I don’t want to be dogmatic about it. But in terms of my overall experience, I find the writing I do for smaller but more intense groups is more satisfying. Given the importance of Orson Welles in your professional life, I guess it’s fitting that he opens and closes the two books. That’s one of the kind of games I like to play, as inspired by [the late Chicago filmmaker] Peter Thompson and his whole idea of diptychs. For me it was very enjoyable working on the two books together that way, because I found that they were in dialogue with each other, the two books. And pieces in each book are in dialogue with each other. That time you met in Paris, in 1972, that’s the only time you ever met. The only time, just that one hour for lunch. Was he aware of your writing about him? There was hardly any early work for him to be aware of. That was the amazing part—at that point I had published almost nothing, maybe two or three pieces in Film Comment. I had published a fairly lengthy attack on “Raising Kane” [Pauline Kael’s controversial two-part New Yorker essay about the authorship of “Citizen Kane”] in Film Comment. It was a piece that began with the misguided assertion that [John] Houseman was correct about Welles writing almost none of “Citizen Kane.” I don’t know if he read it or not when he met me, but most likely not. He never alluded to it, although I did find out later that a copy of it was in his papers. He more likely read it afterwards. "The Other Side of the Wind"
The second volume ends with your essay on "The Other Side of the Wind." You worked as a consultant on the film, just as you had on the re-edit of "Touch of Evil" in 1998. What were those experiences like? It was different in a lot of ways. One thing similar was working with huge corporate entities, which I don’t like to do very much. You’re getting people who don’t know much about film, and they’re afraid of alienating their boss and therefore can be obstreperous. I was less successful in getting certain ideas across on “Wind.” It’s not that we didn’t communicate but they decided to go against some things I was urging. I succeeded in almost everything with “Touch of Evil.” “Wind” was much trickier, because that was edited by a committee in which only Filip Rymsza had a background that was not mainly Hollywood. I thought that doing the sound editing to match Hollywood standards was a big mistake. At the same time I understand it. In a way I am more irked by the Morgan Neville documentary [“They’ll Love Me When I’m Dead”] because it’s led so many people to think the dialogue wasn’t scripted, even though the script was published several years ago. You are also about to start a 14-week lecture series at the Gene Siskel Film Center in Chicago about Orson Welles. We are going to show the films, and then have a break and then I will give a lecture and lead a discussion about each one. 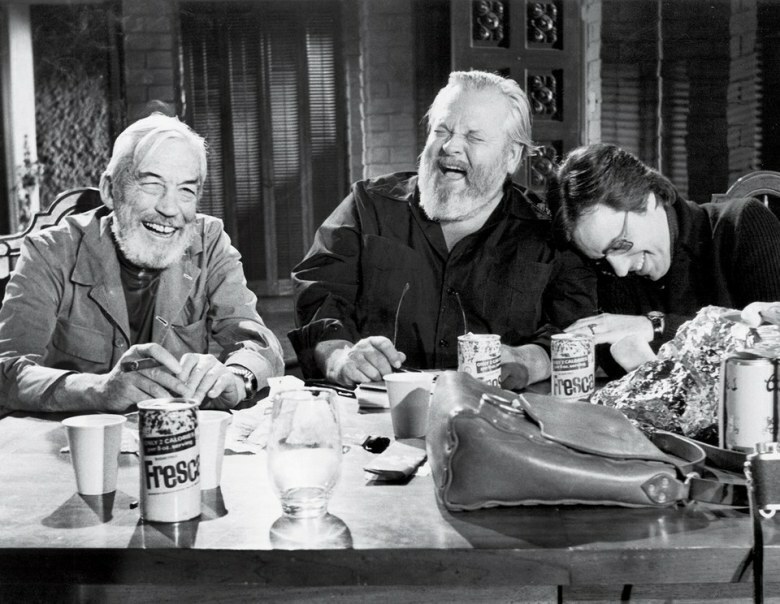 Prior to “The Other Side of the Wind,” Welles and Stanley Kubrick made the same number of released features, which I find very interesting because Kubrick is seen as a great success and Welles, at least in the U.S., is seen as a failure. Both ended their careers in exile. So now Welles has one more than Kubrick, fourteen and there is a possibility of still others. As these books demonstrate, you are writing as much as ever. Do you miss having that weekly platform in the Reader? I think some other people miss my doing it, but I don’t think I do, except for the loss of steady income. I miss that. I had to see so many films I didn’t like and didn’t want to see, and I don’t have to do that anymore. For me that’s a big difference. I do try to keep up, though, in a more limited way.